If g-force is great, is super g-force even greater? Expectations continually adjust to ever higher levels. For example, it's very possible that someone will win one million dollars in a lottery; you'd think she'd be happy forever. However, relevant experience indicates such happiness lasts for a much shorter time. 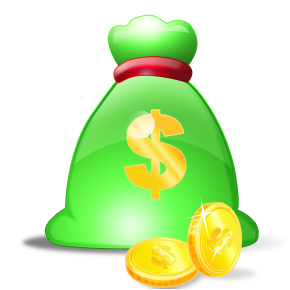 Our neophyte millionairess will soon learn that a million dollars is not infinite, and materialistic desires will likely grow to accommodate that finite amount. 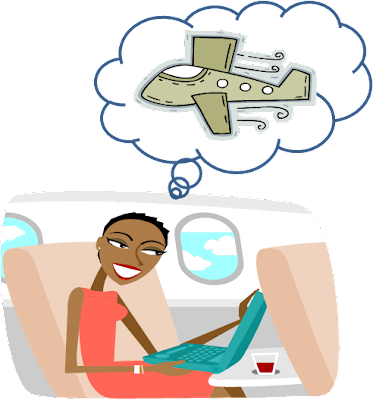 For instance, she can now fly first class, but she can't yet buy a private jet. In similar fashion, consistent g-force propulsion will prove a great boon to humankind due to very short travel times to nearby planets as well as inflight comfort from simulated Earth-like gravity. However, humans will soon want more stuff shipped even faster. Humans probably won't travel at greater than one g-force, but shipments of essential materials could be greatly expedited if they could fly at super-g forces. 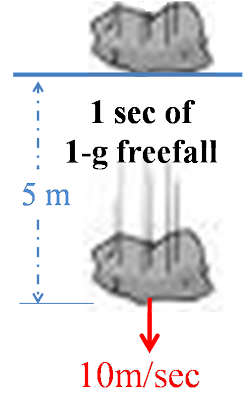 moves falling rock to 20 m/s over 10 m.
moves falling rock to 10 m/s over 5 m.
Near Earth's surface, a free falling object will accelerate at rate g, approx. 10 m/sec2. Thus, an acceleration of 2 g would be 20 m/sec2. Using Newtonian motion equations, we've previously determined that first second of 1-g free fall will move object 5 meters. Extend to one day of constant g-force acceleration to move vessel to .25 Astronomical Units (AUs). Expand our thought experiment's envelope to exceed g-force acceleration for selected vessels. Assume no humans, but Artificial Intelligence (AI) devices will guide a vessel with essential cargo. Express 2g as different units of distance/time. If double g-force does not damage ship or contents; then, much shorter travel time would be an enormous benefit. Note that one second of 2-g free fall moves an object for 10 meters; thus, extend duration to one day (86,400 seconds) for distance of 0.5 AU. Describe greater accelerations as integer (i) times g, free fall acceleration experienced near Earth's surface. ACCELERATE TO GREAT SPEEDS QUICKER! vessel increases velocity to 1,728 km/sec, an enormous speed! For current example, let this happen at midpoint. which takes a day of 2g deceleration. During 2nd day, vessel's speed decreases at 2g to 0 km/sec. to return to initial velocity. QUICKLY DECELERATE TO ORBITAL SPEED! Thus, the sum of acceleration distance (for first half of voyage) and deceleration distance (for final half) is the total distance; or total could be restated as twice the acceleration distance. Determine total distance for a 2g vessel to accelerate for one day and decelerate for 2nd day. 1) acceleration to midway for first half of trip. 2) equal propulsive force in opposite direction for 2nd half. Thus, vessel attains useful, orbital speed at destination. gravity force (g): experienced by all who reside on Earth's surface. 10 m/sec²: acceleration experienced by freely falling objects near Earth's surface. .5 AU/day²: 10 m/sec² is transformed into units more convenient for space travel. km/sec: 1 g speed increases 10 m/sec for every sec of entire day (86,400×10=864 km/sec); an enormous speed. AU/day: for a more convenient measure, transform 864 km/sec to 0.5 AU/Day. dDecel: Decel. dist. = Accel dist. Determine distance after one day's acceleration followed by one day's deceleration. determine flight time for a given distance, d.
tAccel = √(d/a), estimates acceleration time to halfway. EXAMPLE: Typical distance from Earth to Jupiter: d = 5AU. Accelerate to midway for half of distance. Decelerate to destination for remaining half. plus equal time for deceleration. Both acceleration and deceleration require powered flight, which requires fuel. "i" can be a single digit integer (i.e., 1,2, 3, ...) as shown below. Efficiency Factor (ε) arbitrarily chosen as 2.0 for interplanetary travel. 1) ∇, daily difference = daily percentage of ship's mass needed to convert to exhaust particles to propel ship in opposite direction. 2) g, from expression "g-force", g is acceleration due to Earth surface gravity. For convenience, round g's value to 10 m/sec2. 3) day = quantity of seconds per day = 86,400 sec. 4) c, light speed. Round to 3×108m/sec. 5) Given above approximations, g×day/c = .00288 = .288%. While particle exhaust velocity (VExh) can range from zero to just short of c, assume for interplanetary voyages one reasonable value of VExh = 86.6% c = .866 c.
Determine time of flight after halfway acceleration followed by halfway deceleration. For even faster interplanetary transport, consider super G-forces even greater than 3g. With acceleration as i × g, "i" values could include both integers and decimals. This is much further than the Kuiper Belt (KB), but only a miniscule portion of distance from Sol to the edge of the Solar System. NOTE: Many people used to consider the KB to be the "edge" of the Solar System, due to no planets beyond this belt of asteroids and comets. We now know of planets well past the KB. In any event, Sol's influence extends well beyond the KB to the Oort Cloud (OC) with billions of comets. OC is about 1 LY in radius (about 65,000 AU) about 1/4 of distance to nearest stellar neighbor, Alpha Centauri (AC) Stellar system. SCENARIO: Normal passenger travel typically takes about 28 days to travel from Earth to this site at 1 g. Flight requires fuel of about 9% of vessels TOGW. However, non-passenger transport could travel at higher g's to expedite transport of essential cargo. WHY ORBIT AT 100AU? Why deploy a habitat to where there are no planets, no moons, perhaps a rare glimpse of an asteroid/comet? 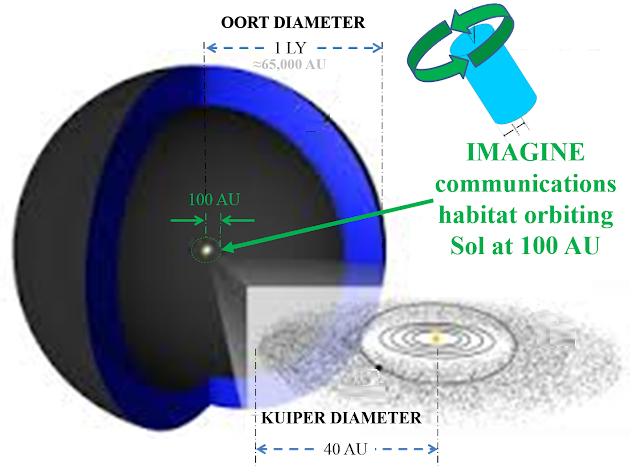 ANSWER: At 100 AU, this habitat could become an extremely valuable resource; it can store and forward large volumes of communications from the inner solar system to ships heading farther out, eventually to the stars. can be closely approximated with Newtonian motion equations.